AKQA is a creative agency that has worked with brands such as Nike, Netflix and Grey Goose on innovative marketing campaigns. The company is no stranger to incorporating technology and AI into its projects, with its most recent undertaking using a neural network to invent a completely new sport. Founded in London in 1994, AKQA now has 2,100 global staff in 26 offices across Europe, the US, South America and Asia. The digital agency was named by global consultancy Gartner as a leader in its field and is renowned for its innovative marketing campaigns. Speedgate is a completely new game created by AKQA through the use of AI. The AI practice team at the digital agency trained a neural network with data from 400 sports and 7,300 rules to give the AI a basic understanding of the concept. It was then set the task of coming up with new games that were easy to learn, fun and accessible. Many of the computer system’s suggestions failed to meet the criteria, such as one that involved using exploding frisbees or playing handball while in a hot air balloon. 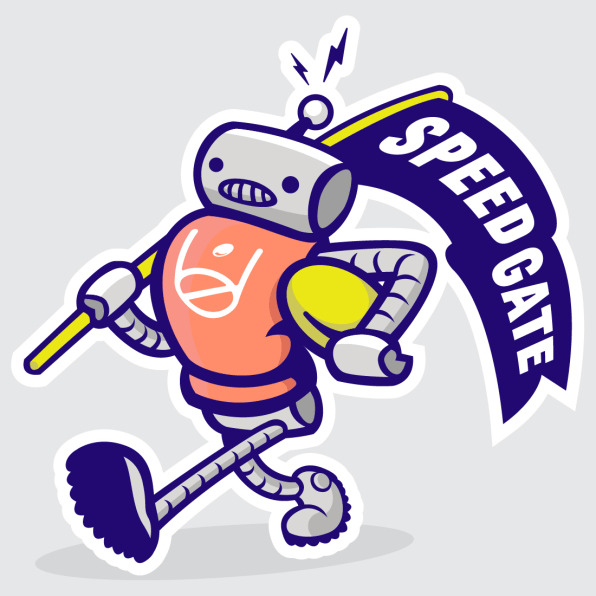 But, after sifting through 1,000 sets of rules, the AKQA team came across Speedgate. Their interpretation of the AI-generated rules resulted in a new sport that involves two teams passing and kicking the ball between three sets of gates to score points. AKQA creative director Whitney Jenkins told TechCrunch: “Using AI as a member of a creative team takes us to a new place, that we never could have gotten to without it. Neuromuscle is described by AKQA as a “rapid skill acquisition tool” and uses electrical pulses to stimulate muscles to do the bidding of an AI bot. Although this may sound like a sinister application of technology, the system was used to help teach people the controls for the 1979 video game Asteroids. The electrical stimulation, attached to the player’s forearms, overrode the brain signals, effectively giving control over to the AI. The company claims the experiment demonstrates how AI could retain muscle memory, and has applications across healthcare, performance and advancing human life. As part of a marketing campaign for Vodka brand Grey Goose, AKQA used Amazon’s Alexa voice assistant to help people create cocktails. The new Alexa skill, called The Sipping Room, helps the smart speaker understand requests such as “make me something with lime” or “make me the perfect Espresso Martini” and will provide the user with step-by-step instructions. In order to add the new function to the device, AKQA had to create a “back-end cocktail matrix incorporating hundreds of flavours and ingredients”. AKQA worked with Nike and basketball stars Kobe Bryant and LeBron James to inspire a new generation of players in China. Key to the concept was an interactive basketball court that used LED lights and motion-tracking technology to help guide players the best, and teach them new moves and training drills. Millions of players were involved in the campaign, which were then whittled down to a final three that were given the opportunity to represent their country in Spain. For a campaign with Japanese laundry and beauty product company Lion, AKQA created a new multi-sensory experience. Computer imaging was used to analyse the clothing of visitors to the So-Cal Link Gallery in Tokyo. A computer algorithm then used the information to create a bespoke design for a paper fan, using the same colour-scheme. The fan was then personalised with a unique aroma, which was infused into it.